Liver is the central metabolic organ that regulates body’s energy supply, secretes several essential compounds and clears substances by several methods, including recycling, inactivation andexcretion. Global loss of the liver function results in profound metabolic instability and disruption of essential functions such as acid-base balance and thermoregulation leading to acute liver failure (ALF).If this is not rapidly reversed, complications such as uncontrolled bleeding occur, and dependent organs such as brain and kidneys begin to fail, reducing the chance of recovery even further. Acute liver failure (ALF) carries high morbidity and mortality (>80%) even in the best centres. Presently, orthotopic liver transplantation (OLTx) is the only treatment that improves the survival rate in patients with ALF. Advent of various immunosuppressive agents has improved the success rate of this procedure by preventing rejection. Non availability of donor organs however remained a major limitation. Two approaches viz., (i) hepatocyte transplantation (ii) extracorporeal liver support system, have been attempted to provide temporary liver support to failing liver till a suitable organ becomes available. These approaches have demonstrated their efficacy in the pre-clinical and clinical studies. Efficacy of hepatocyte transplantation has been studied in several animal models of ALF. The most commonly used models include galactosamine induced liver failure in rats, rabbits, guinea pigs and dogs1-6, and thioacetamide-induced liver failure in rabbits and rat7-11. In these experiments, hepatocyte transplantation has shown survival rates of more than 60 percent12-15. Of the various sites (like intraportal, intrasplenic, intrapertitoneal) used for transplantation by different groups, intraperitoneal location appears more appropriate, in view of the large number of cells required to support the failing liver. We transplanted 60 x106 cells per kg body weight in D-galactosamine induced ALF animal model with more than 60 per cent survival rate in treated animals as compared to no survival in untreated controls16. Storm et al19 reported successful bridging of patients to OLTx through hepatocyte transplantation. Three of five patients in the study had acute decompensation of chronic liver failure. Soriano and coworkers20 treated three patients by infusing the hepatocytes through portal vein. Of the three only one responded to the therapy. In another study, Bilir and coworkers21 from University of Colorado infused isolated hepatocytes into portal vein via transjugular catheterization. None of the acute liver failure patients survived for long term. In a landmark study reported in 1998 22, a child with Crigler-Najjar type I, suffering from dangerous hyperbilirubinaemia, was given 7.5x109 allogenic donor hepatocytes by infusion via portal vein catheter. This procedure resulted in reduction of serum bilirubin levels for more than six months. Similarly, a 5 yr old with urea cycle disorder, ornithine transcarbamylase deficiency, received 1 billion hepatocytes and showed clinical improvement. hepatocyte transplantation in a 4 yr old patient with infantile Refsum disease, which led to partial clearance of abnormal bile acids with pipecholic acid being reduced to 60 per cent of pretransplantation levels. Hepatocyte transplantation was perfomed in this case showed that child was able to stand and walk 6 months after hepatocyte transplantation23. Very recently we have demonstrated the efficacy of the hepatic progenitors transplantation managing hyperbilirubinemia in the treatment of crigler-najjar syndrome type 1 by hepatic progenitor cell transplantation26. Patient reporting the confirmed case of Criggler Najar syndrome type 1 of age 2 year female with unconjugated hyperbilirubinemia and bilirubin of >30mg/dl was treated with hepatic progenitor cell infusion through hepatic artery. No procedure related complications encountered. No kernicterus was observed. Total Bilirubin started falling 10 days after cell infusion. After 2 month of cell infusion, bilirubin starts decreasing from 29.0mg/dl to 16 mg/dl, conjugated bilirubin increasing approximately 5 fold, unconjugated bilirubin decreasing nearly 2 fold and SGPT also decreasing from 210 U/L to 64 U/L. This study demonstrates the efficacy of hepatic progenitor cell in management of hyperbilirubinemia in these patients. As the procedure is very simple and the patient has tolerated the cell therapy, infusion can be repeated as an when require to manage hyperbilrubinemia which often cause lethal kernicterus. This study was developed to assess safely, feasibility and efficacy of hepatic progenitor cell transplantation in a child of Criggler-Najjar Syndrome type-I. Thus, most groups have used hepatocytes from other species, more often of porcine, goat and rabbit origin. Metabolic, detoxification and synthetic functions of porcine hepatocytes have been studied extensively. Hepatocytes are major component for the development of any BALSS. Approximately 25 x 109 hepatocytes are needed to provide adequate artificial liver support system for patients with ALF 29. The xenogenic source of the hepatocytes offers the use of freshly isolated hepatocytes for development of BALSS and isolated hepatocyte transplantation. To overcome these limitations, two techniques, namely (i) Microencapsulation in alginic acid poly-l-lysine membrane, (ii) UV-B irradiation have been used. 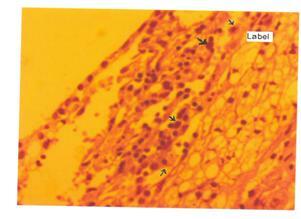 Encapsulation of the hepatocytes in alginate poly-l-lysine membrane has been shown to provide protection against such damage30. Hence the use of microencapsulated hepatocytes in bioreactor module provides a way for using xenogenic hepatocytes. We studied the longevity of the cells after encapsulation following intraperitoneal administration of encapsulated xenogenic hepatocytes intraperitoneally in a D-galactosamine animal model of fulminant hepatic failure (FHF) . All the animals that did not receive hepatocytes died within 36 h. The animals that received encapsulated hepatocytes had better survival rate (73%) whereas only 25 per cent of those that received non-encapsulated hepatocytes survived. The transplanted capsules were found to be intact even 60 days after transplantation with retrieval rate as high as 75 per cent, and 80 per cent of viable cells had normal capacity to produce urea . This suggested that microencapsulation was effective in maintaining functional capacity of and preventing immune destruction of the transplanted hepatocytes. Ultraviolet irradiation has emerged as a modality with profound immunomodulatory effect. UV-B irradiation is useful, since it alters the cell surface properties and reduces the immunogenicity of the grafts in vivo, while sparing the function of specialized cells. Xenogenic transplantation of UVB irradiated hepatocytes in drug-induced ALF animal model have shown 60 per cent survival rate in treated animals as compared to 23 per cent in untreated animals. No significant change in cellular and humoral immune response was observed in the animals, which received UV-B-irradiated xenogenic hepatocytes16. The gal epitope is produced in large amounts in marsupials, in placental non-primate mammals, in prosimians, and in New World monkeys, but not in Old World monkeys, apes or humans. Anti-gal antibodies, on the other hand, are produced abundantly in humans, apes and Old World monkeys. These xenoantibodies recognize the gal epitope formed due to the activity of (a-1-3 b 1-4 GlcNac- R), which is a terminal disaccharide on glycoproteins and glycolipids33-35. The gal epitope is formed due to the activity of a-(1-3)-galactosyltransferase. Absence of this enzyme leads to non-expression of the gal epitope in humans, apes, and Old World monkeys. The interaction of anti gal antibodies with cells carrying the gal epitope leads to lysis (HAR). Several strategies to eliminate the contribution of anti-gal antibodies to HAR have been proposed.These include depletion of the antibodies either nonspecifically by plasmapheresis or specifically by immunoadsorption. Other strategies depend on the depletion or eliminating the Gal epitope from donor36. Inactivation of the GalT gene has the potential advantage of eliminating anti-gal antibody involvement in HAR permanently and completely. However, it has been suggested that the deletion of the Gal epitope may be lethal. The application of immunoisolation technologies to prevent host sensitization to implanted cells is a feasible approach to avoid xenograft rejection. Hepatocytes are anchorage dependent for their long-term survival and functions. Various techniques are being used successfully for providing a substratum for long-term survival of the transplanted cells such as microcarriers, microencapsulation, extracellular matrices but these are derived from animal source. Hence not appropriate for clinical use. There is a need of chemically synthesized biocompatible polymer for clinical application. D-galactosamine. Exp Mol Pathol 1968; 9 : 279-90.
rat model of fulminant hepatic failure. J Hepatol 1985; 2 : 301-12. 3. Blitzer BJ, Waggoner JG, Jones EA. A model of fulminant hepatic failure in the rabbit. Gastroenterology 1978; 74 : 664-71. 4. Traber PG, Ganger DR, Blei AT. Brain edema in rabbits with galactosamine induced fulminant hepatitis. Gastroenterology 1986; 92 : 1347-56. 5. McClung HJ, Sloan HR, Powers P. Early changes in the permeability of the blood brain barrier produced by toxins associated with liver failure. Ped Res 1990; 28 : 327-31.
systems. ASAIO Trans 1990; 36 : 21-7.
aminoacid-ergic neurotransmission. Hepatology 1989; 9 :594-601. 8. Peeling J, Schoemaker L, Gauthier T. Cerebral metabolic and histologic effects of thiocetamide-induced liver failure. Am J Physiol 1993; 265 : G572-8. to acute liver failure from that induced by simple hyperammonemia. Brain Res 1991; 567 : 165-8.
failure. Hepatology 1990; 12 : 695-700. 11. Gammal SH, Basile AS, Geller D. Reversal of the behavioral and electrophysiological abnormalities of an animal model of hepatic encephalopathy by benzodiazepine receptor ligands. Hepatology 1990; 11 : 371-8. 12. Sutherland DER, Numata M, Matas AJ. Hepatocellular transplantation in acute liver failure. Surgery 1977; 82 : 124-32. 13. Sommer BG, Sutherland DER, Matas AJ. Hepatocellular transplantation for treatment of D-galactosamine-induced acute liver failure in rats. Transplantation 1979; 11 : 578-84. 14. Makowka I, Falk RE, Rotstein LE. Cellular transplantation in the treatment of experimental hepatic failure. Science 1980; 210 : 901-3. 15. Bamgartner D, La Plante-O’Neill PM, Sutherland DET. Effects of intrasplenic injection of hepatocytes, hepatocytes fragments and hepatocytes culture supernatants on Dgalactosamine- induced liver failure on rats. Eur Surg Res 1983; 15 : 129-35. 16. Habibullah CM, Ayesha Q, Khan AA, Naithani R, Lahiri S. Xenotransplantation of UV-B irradiated hepatocytes survival and immune response. Transplantation 1995; 59 : 1495-7. 18. Habibullah CM, Syed IH, Qamar A, Taher-Uz Z. Human fetal hepatocyte transplantation in patients with fulminant hepatic failure. Transplantation 1994; 58 : 951-2. 19. Storm SC, Fisher RA, Thompson MT, Sanyal AJ, Cole PE, Ham JM. Hepatocyte transplantation as a bridge to orthotopic liver transplantation in terminal liver failure. Transplantation 1997; 63 : 559-69. 20. Sorino HE, Wood RP, Kang DC. Hepatocellular transplantation (HCT) in children with fulminant hepatic failure. Hepatology 1997; 26 : 239A. 21. Bilir B, Durham JD, Kristal J. Transjugular intraportal transplantation of cryopreserved human hepatocytes in a patient with acute liver failure. Hepatology 1996; 24 : 728. 22. Fox IJ, Roy Chowdhary J, Kauffman SS. Treatment of the Crigler-Najjar syndrome type I with hepatocyte transplantation. N Engl J Med 1998; 338 : 1422-6.
and metabolic follow-up. Transplantation 2003; 76 :735-43. 24. Khan AA, Habeeb A, Parveen N, Naseem B, Babu RP, Capoor AK, et al. Peritoneal transplantation of human fetal hepatocytes for the treatment of acute fatty liver pregnancy; a case report. Trop Gastroenterol 2004; 25 : 141-3. 28 Nagaki M, Kim YI, Miki K. Development and characterization of hybrid bioartificial liver using primary hepatocytes entrapped in a basement membrane matrix. Hepatology 1996; 24 : 435A. 29 Sielaff TD, Hu My, Amiot B. Gel-entrapment bioartificial liver therapy in galactosamine hepatitis. J Surg Res 1995; 59 : 179-84. 31 Khan AA, Capoor A, Parveen N, Naseem S, Vijaylakshmi V, Habibullah CM. In vitro studies on bioreactor module containing encapsulated goat hepatocytes for the development of bioartificial liver. Indian J Gastroenterol 2002; 21 : 55-8. P. Ravindra Babu, ,A. Samuel, Y.Hiroshi, M.Yuichi and CM. Habibullah. Intraperitoneal transplantation of hepatocytes embedded in thermoreversible gelation polyme (mebiol) in acute liver failure rat model. 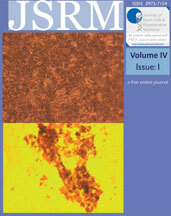 J Hepatology Supplement 2 ; 48, 2008; S71. 33.Galili U, Macher BA, Beuhler J, Shohet SB. Human natural anti-alpha galactosyl IgG: II. The specific recognition of alpha (1-3) -linked galactose residues. J Exp Med 1985; 162 : 573-82. 34. Galili U, Buehler J, Shohet SB, Macher BA. The human natural anti-Gal IgG. III. The subtley of immune tolerance in man as demonstrated by cross reactivity between natural anti-Gal and anti-B antibodies. J Exp Med 1987; 165 : 693-704. 35. Galili U, Shohet SB, Kobrin E, Stults CLM, Macher BA. Man, apes and old world monkeys differ from other mammals in the expression of alpha galactosyl epitopes on nucleated cells. J Biol Chem 1988; 263 : 17755-62. 36. Sandrin MS, Kenzie IF. Gal Alpha (1,3) Gal, the major xeno antigen (s) recognized in pigs by human natural antibodies. Immunol Rev 1995; 141 : 169-90.